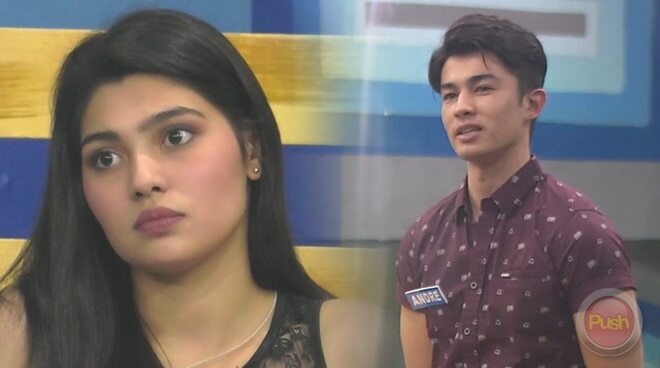 Pinoy Big Brother: Otso housemate Abi Kassem confronted Andre Brouillette during the Tapatan with Ex-Housemates segment of the reality show on Monday, March 25. Wakim Regalado then butted in and instigated Andre. “Prior to that you confused us and kinda lead her on and made her think that you like her. No, you confused us you cannot deny that about yourself. You confused us by the manner of your speech and it had dire consequence for Abi,” Wakim stated. Andre stressed it was not his intention to make anybody depressed. He also apologized to Abi if he made her feel that in any way. "Life in here is totally different from the outside. It’s different here so I don’t mean to make anybody depressed by the things I say by sugarcoating, it’s not what I am trying to do. I am trying to be a genuine person and be honest. But at the same time life here is different. If I made you depressed in any way I am honestly, from the bottom of my heart, apologetic. I am sorry. I didn’t mean to make you depressed,” Andre said.